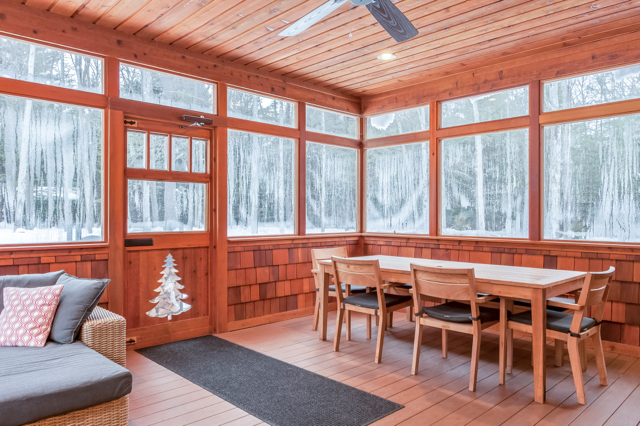 Reasons to Rent: Luxurious house with miles of trails on the property for hiking, snow shoeing or mountain biking, all in complete privacy. 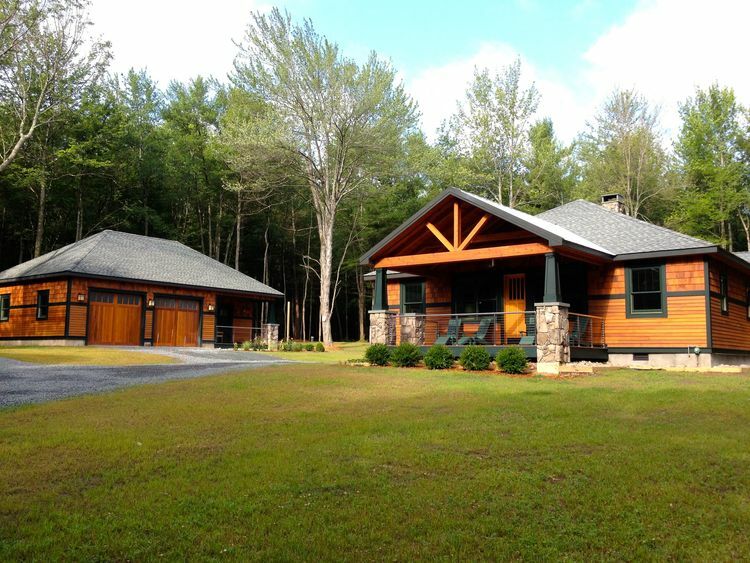 A gravel drive winds through the woods of Bush Kill Park, this substantial 330 acre property, delivering you to the cedar-shingled house and separate garage with bunkhouse. Inside, the beautifully-decorated, airy home is packed with creature comforts. 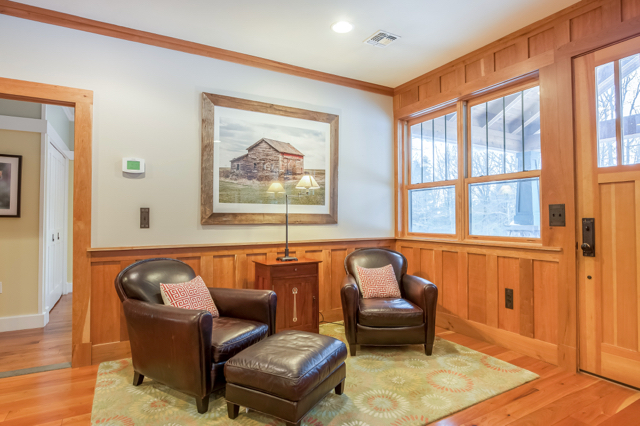 The brick fireplace is a focal-point of the cherry-paneled living room, and there is ample seating to gather for movie- (or cable television-) watching. The sizable chef’s kitchen includes a Wolf stove with griddle and other high end appliances, with all the gadgets (food processor, blender, etc.) you’ll need to prepare your feasts. 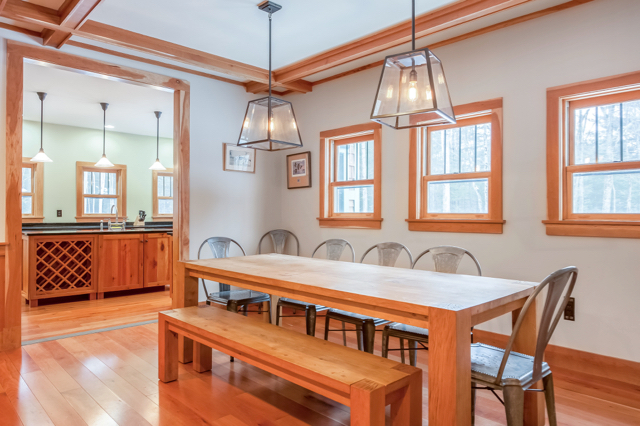 And once the food is ready, you’ll have to choose whether to dine at the long farmhouse table inside, or adjourn to the screened porch on temperate days for your meals. The porch also has a comfortable lounge area, where you can find yourself serenaded by the vocal bird population, or where you might recline and watch the big game on the wall-mounted television. 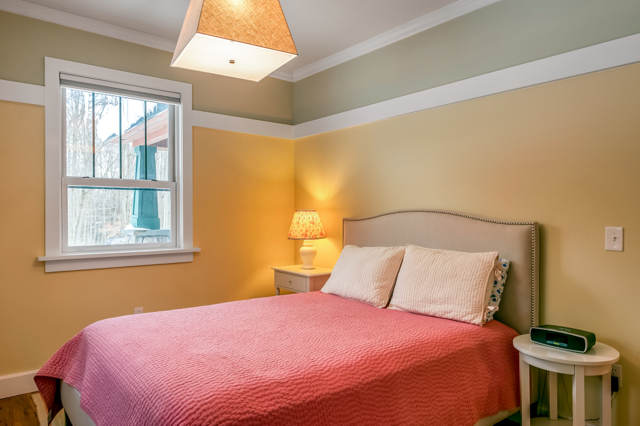 There are two pretty guest bedrooms and their full bathroom includes a walk-in shower and a claw foot tub. 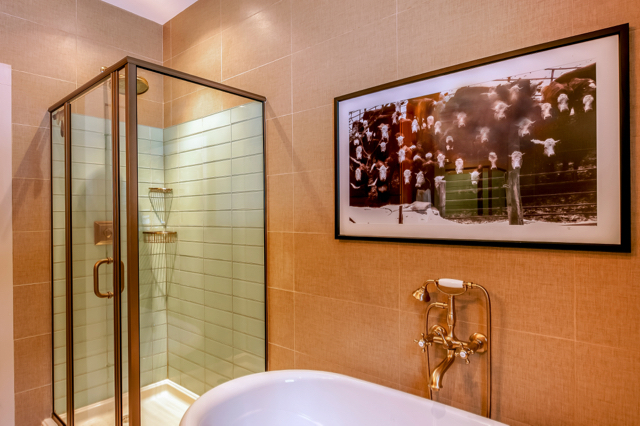 The master suite has a seating area, a sparkling bathroom with double sinks and a walk-in shower with two shower heads. 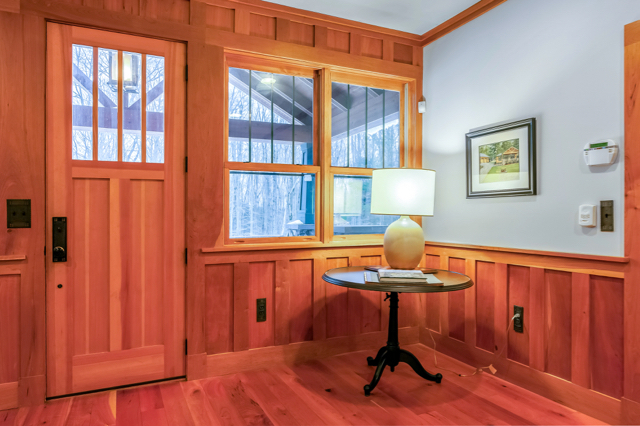 From this bedroom is direct access to the screened porch. 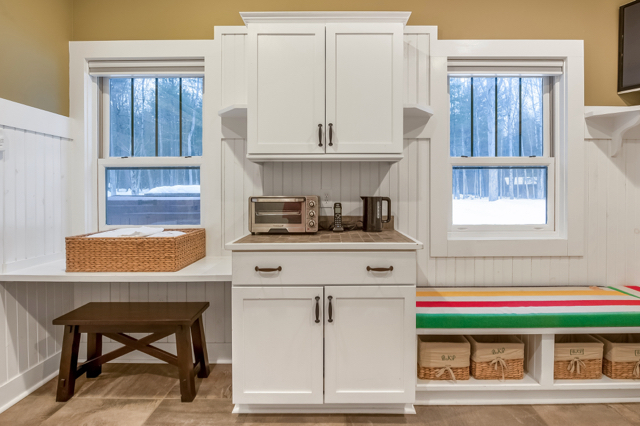 The kids are guaranteed to love the bunkhouse, which is off the garage, but it’s not just for the younger set. 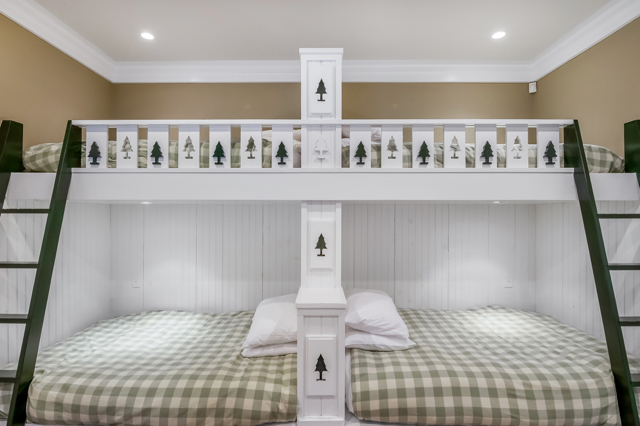 There are two sets of bunk beds, each with a full-size below and twin above, and a tiled bathroom with a walk-in shower. Its own little living quarters, the bunkhouse has a TV, and its own set of accoutrements including electric kettle, French press, plates, mugs, etc. for preparing coffee in the morning, or an impromptu snack. The home is a destination unto itself, but the grounds present a huge attraction, whether for the mountain biking enthusiast or hiker (there are several miles of trails cut through the property), or those simply seeking tranquility in a picturesque natural setting. The topography is quite varied, from atmospheric hemlock forests, to fern-covered clearings, large rock outcroppings, a couple of huge fields, perfect for frisbee or touch football game, and an open grassy wetlands with delightful stream running through it. There are two bluestone patios outside the screened porch with charcoal and gas grill, and in the woods not far from the house is a fire pit, surrounded by tremendous stones for perching the tall and the small. This is a special property for a respectful group, a family, or a couple of families. Use this search facility to find property or house features that will make your vacation memorable.